Watch a free outdoor movie with your family on the 16-foot movie screen on Tuesday nights in July & August at Settlers’ Green. Activities from our local partners start at 6 p.m. and include face painting by the MWV Children’s Museum and special events from our local partners. Movies start at dusk and are all family films. 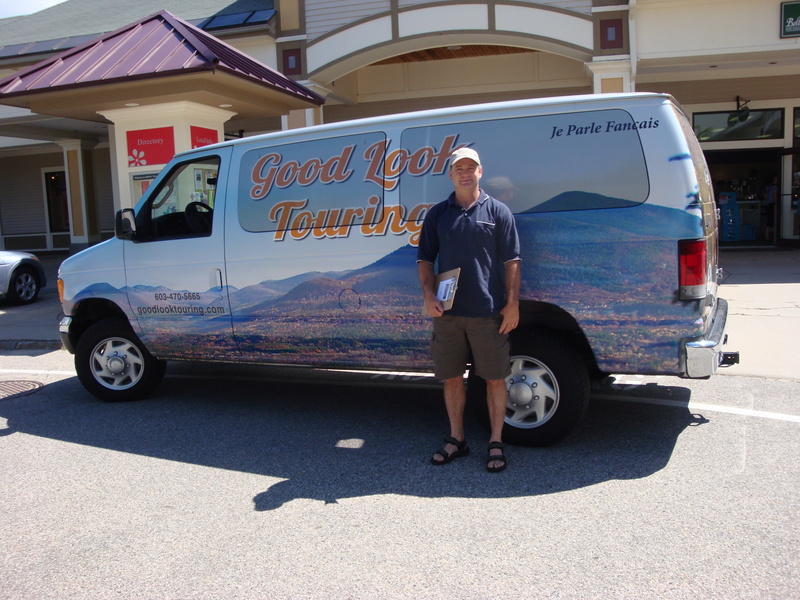 Good Look Touring, a locally owned and operated scenic tour guide service, is operating a daily schedule from Settlers’ Green Outlet Village to one of several 90 minute scenic Valley tours. The tours include many places off the beaten paths including secret viewing spots along cliff sides and covered bridges, dramatic cascading waterfalls and favorite swimming holes. The tours are hosted by local drivers who are both knowledgeable about the area and offer commentary and entertaining information about the region. Drivers are bi-lingual in French and English making them perfect for the Valley’s favorite Canadian tourists. Drivers can fill you in on the Valley’s best hiking, biking and paddling trips, tell you about the unique family attractions, favorite restaurants and entertainment hot spots, and share favorite stores about the Mt. Washington Valley. Not just a scenic tour, each trip is an experience and fun for the whole family. Stops are geared for getting the perfect picture of the most scenic areas. The tour vans are comfortable, air conditioned, and with just 12 passengers, small enough to maneuver into places other tour buses cannot. Don’t miss the most beautiful parts of the White Mountains! Tours are daily at 9 am, 11 am, 1 pm and 4 pm. Tickets are just $20 per person, with the 9 am tour a discounted $15 “early bird tour.” All tours leave from Settlers’ Green Outlet Village on Route 16 in North Conway. Pick up is in front of the Nike store located at the front of the shopping center. Look for the colorful van! For more information please go to goodlooktouring.com, and to pre-book your trip, please contact 603-470-5665. Space is limited and riders are encouraged to book ahead of time. All major credit cards accepted.